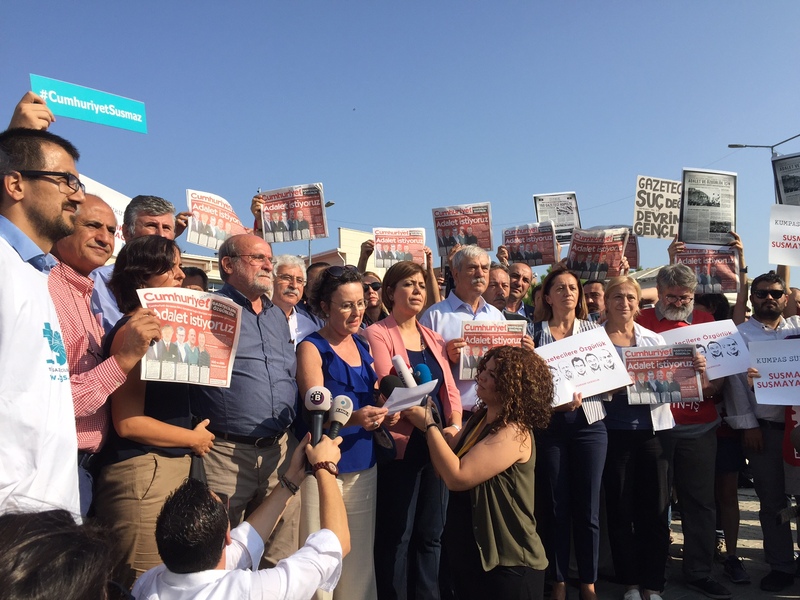 The European and International Federations of Journalists (EFJ-IFJ) condemn the court’s decision to maintain the five Cumhuriyet journalists and media workers in pre-trial detention, after a 13-hour long hearing at Silivri prison, on 11 September 2017. The court ordered their detention despite clear demonstration by the defendants’ lawyers that the accusations of “without being a member of that organisation, spreading propaganda on behalf of an illegal terrorist organisation” were completely baseless. An international delegation including the EFJ-IFJ, IPI, PEN International, Norsk PEN, PEN Vlaanderen, RSF, foreign consulate representatives, foreign press correspondents and MEP Rebecca Harms has attended the hearing and shared solidarity messages with all the defendants. 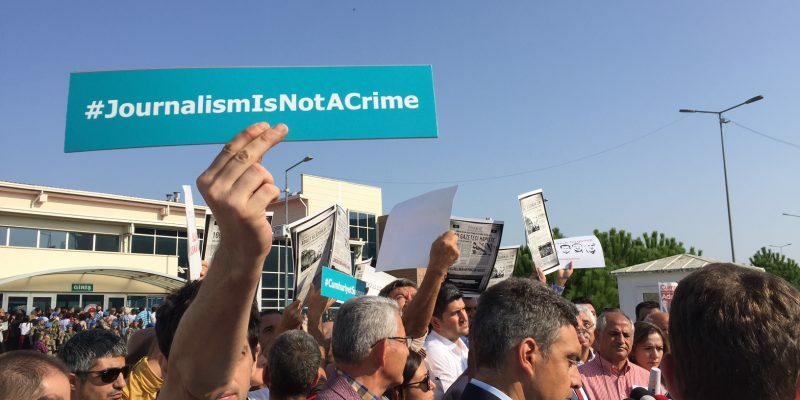 Around 400 individuals – including 130 lawyers, 15 member of Turkish Parliament and trade union representatives from TGS, DISK-Basin Is, TGC – were allowed to enter the courtroom while a similar number of people were kept outside because of the lack of spaces. 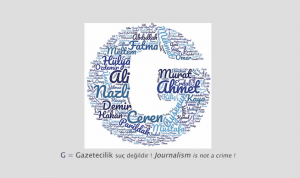 Following the 6th hearing which started at 9:00, the court ruled at 23:40 – after hearing seven witnessess, an IT expert, lawyers and defendants – in an interim decision that Akın Atalay, Ahmet Şık, Kemal Aydoğdu, Emre İper, Kadri Gürsel and Murat Sabuncu must remain under arrest until the next hearing scheduled for 25/09/2017 at 15:30. 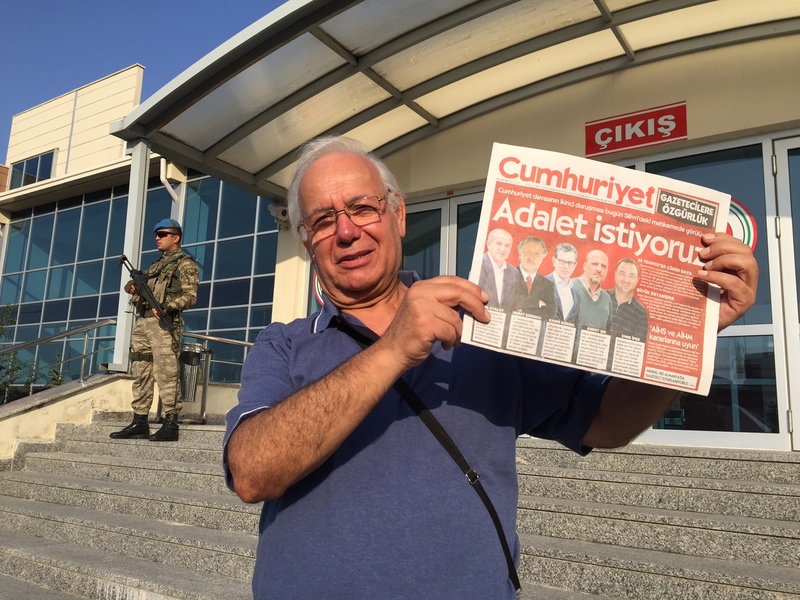 Kemal Aydoğdu is not a journalist but a school teacher whose case has been included in this trial because some of his tweets were used in an article published by Cumhuriyet newspaper. One of the judge has expressed a dissenting opinion to release Kadri Gürsel on probation but the majority of the court was in favor of prolonging his pre-trial detention. These journalists are in captivity for more than 300 days. The ruling was motivated by the fact that three witnesses are still to be interrogated and the expert report to be delivered on journalists professional phone examination. The court has also asked journalists to share their passwords to get access to some protected communications despite the the fact that they demonstrated and detailed all their contents during the hearing. Questions of the court were all related to the editorial line of the newspaper, the system to edit the titles of articles before publication, the criteria to hire new journalists, the procedure to control correspondents reports and the internal decision mechanism between the private company and the foundation running the newspaper. “Defendants imprisoned have been held for months in pre-trial detention on baseless evidence. The independence of the judiciary is clearing a main concern for journalists. It seems that you can deliver the best defense arguments, the judges are not taking them into consideration and are continuing to issue the same decisions. The courage and the professionalism of our colleagues is amazing in such a chaotic situation ! 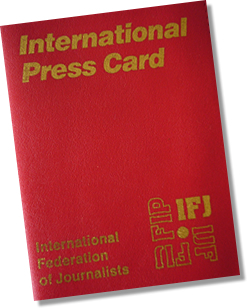 They should be released immediately and all charges should be dropped”, EFJ/IFJ representative said following the ruling. 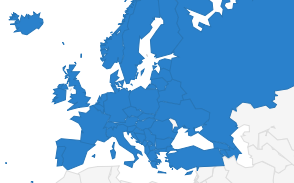 In addition, the EFJ welcomed the statement of Harlem Désir, OSCE Representative on Freedom of the Media and David Kaye, United Nations Special Rapporteur on the right to freedom of opinion and expression, calling on Turkey to release journalists from prison and remove restrictions on media freedom. Charges against defendants include “helping an armed terrorist organization while not being a member” and “employment-related abuse of trust”. The next hearing will take place at Istanbul’s Çağlayan Courthouse on 25 September.